California Will Let Local Authorities Assess Water Conservation Goals Amid Drought : The Two-Way This will replace mandatory state-driven standards. It's happening because California's drought — now entering its fifth year — is easing in some parts of the state but not others. The cracked-dry bed of the Almaden Reservoir in San Jose, Calif., in 2014. After four years of drought in California, concerns are finally beginning to ease in parts of the state. Northern California saw strong snowfall and rainfall recently, but Central and Southern California remain dry. The discrepancy has prompted state water regulators to approve new regulations that allow local water authorities to set their own conservation standards. That means the "unprecedented mandatory state-driven conservation standards in place over the last ten months" will now transition to standards "based upon supply reliability considerations at the local level," according to the State Water Resources Control Board. "Local water districts will soon be allowed to set their own savings targets based on water supply and demand forecasts tailored to their areas. That means that places that received a lot of rain — and communities that purchase or are entitled to water from sources there — are likely to see fewer restrictions, while dry areas without water from those replenished supplies are likely to suffer though another summer of continued conservation." Felicia Marcus, chair of the State Water Resources Control Board, says it was a "difficult set of decisions for the panel," as member station KPCC reports. She says: "We don't want to cry wolf. We also don't want us to put our head in the sand. ... This compromise allows us to keep our eyes wide open." Tam Doduc, also on the panel, told KPCC that she abstained from voting because she thinks the new measures don't go far enough. "I have to confess that I feel very uneasy with it," she says. "This is an emergency." Other requirements issued by Gov. 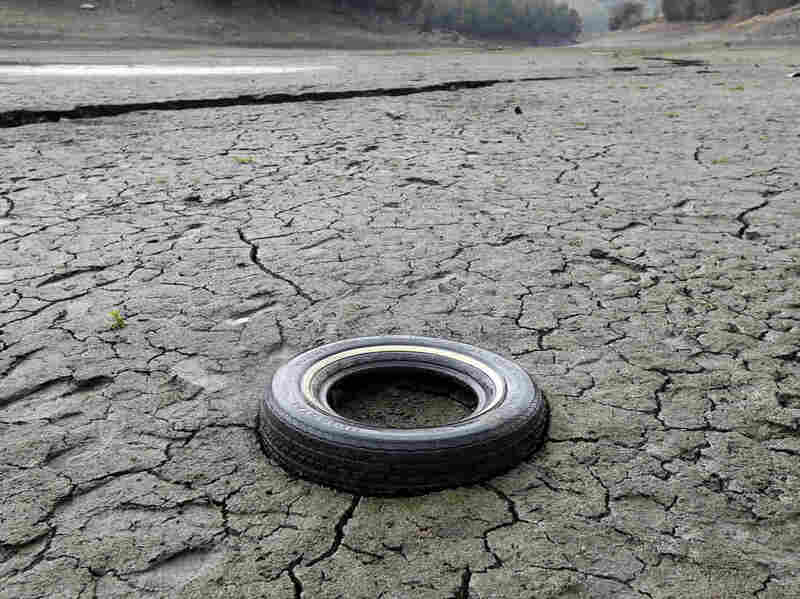 Jerry Brown earlier this month have also been made permanent, including bans on hosing off sidewalks, washing cars with hoses that don't have a shut-off nozzle, and watering lawns to the degree that it causes runoff. And as Reuters reports, the state regulators also "voted to keep in place a rule requiring restaurants to serve water only upon request." Some are concerned that the new regulations granting more power to local authorities are "sending a mixed message that obscures the 'we're all in this together' campaign that state officials have tried to foster," the Times reports. Sara Aminzadeh, executive director of California Coastkeeper Alliance, tells the Times that "some water suppliers have openly questioned the need for conservation." "What do we think Beverly Hills is going to be proposing in terms of conservation?" she says. "I think it's a risky approach, especially as we head into the hotter summer months." As the Times reports, the new regulations could cause "stark disparities between cities" as a result of California's complicated water distribution system. "[D]rought fatigue is real. People are getting to this point where they're wondering, can I start taking longer showers? It's really an ongoing challenge that the state has to remind people that we just need to enter this new world of being smarter about water. And we're trying. You know, all of us are trying. I still take shorter showers, but once in a while I still also dream of taking that 20-minute shower that I used to."